Advocates in support of women were both heard and seen at last night's 90th Academy Awards, with three of Harvey Weinstein’s accusers (Ashley Judd, Annabella Sciorra and Salma Hayek) focusing on “a new path” and Frances McDormand calling for all female nominees to stand in unison in recognition of their work. But how did the (few) female nominees fare in the Oscar race? 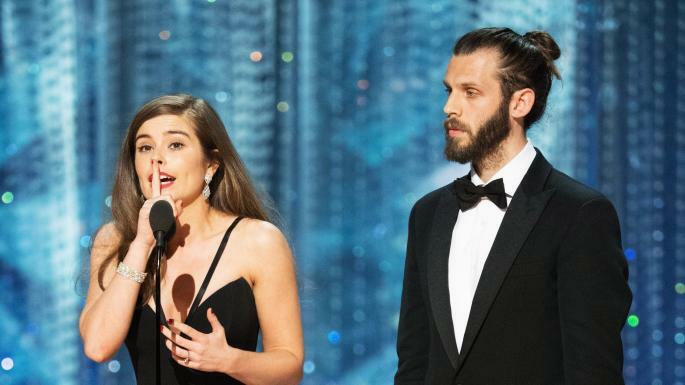 British winner Rachel Shenton accepted her Oscar for Best Short Film (Live Action) for The Silent Child alongside her fiancé and director Chris Overton, giving a powerful acceptance speech in sign language for the deaf community. “Our movie is about a deaf child being born into a world of silence. It’s not exaggerated or sensationalized for the movie. This is happening. Millions of children all over the world live in silence and face communication barriers and particularly access to education,” Shenton said. For Best Original Song, Kristen Anderson-Lopez and co-writer husband Robert Lopez won for “Remember Me” from the Disney-Pixar hit Coco, edging out last year’s winners and consecutive nominees Benj Pasek and Justin Paul for “This is Me” from The Greatest Showman. 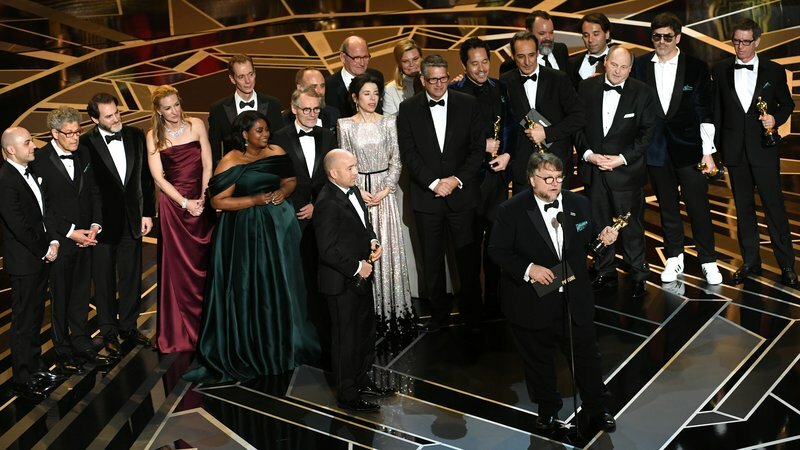 But perhaps the best moment for a female nominee went unnoticed when during last night’s biggest award - Best Picture - Vanessa Taylor won alongside Best Director winner Guillermo del Toro for co-writing the fantasy thriller The Shape of Water. Co-writer of Divergent and television credits that include Game of Thrones, Alias and Everwood, Taylor’s contributions to The Shape of Water earned the film the top honor from The Academy of Motion Picture Arts and Sciences. Greta Gerwig, the first female nominee in the Best Director category in eight years, lost to del Toro as well as Jordan Peele for Get Out in the Best Original Screenplay category. Trailblazer Rachel Morrison, the first female to ever be nominated for Cinematography for her work on Dee Rees’ Mudbound, lost to Blade Runner 2049 cinematographer Roger Deakins. For Best Animated Feature, Disney Pixar’s Coco won against Nora Twomey’s The Breadwinner and Dorota Kobiela’s Loving Vincent. Icarus took the award over Agnès Varda’s Faces Places in the Best Documentary category. Although there was talk and hype of “Time’s Up” and female equality in film, this year’s winners were a washout, with each female winner working as a co-writer with their male counterpart. Even the female actress winners won for roles in films that were written and/or directed by men. Here’s hoping next year’s Oscars will walk the walk.